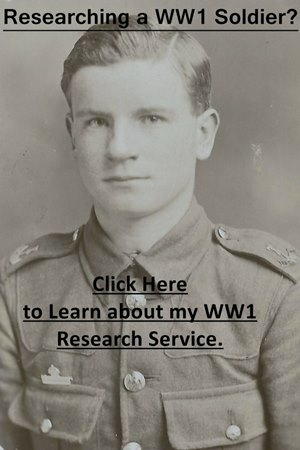 I also offer a First World War Soldier Research Service. 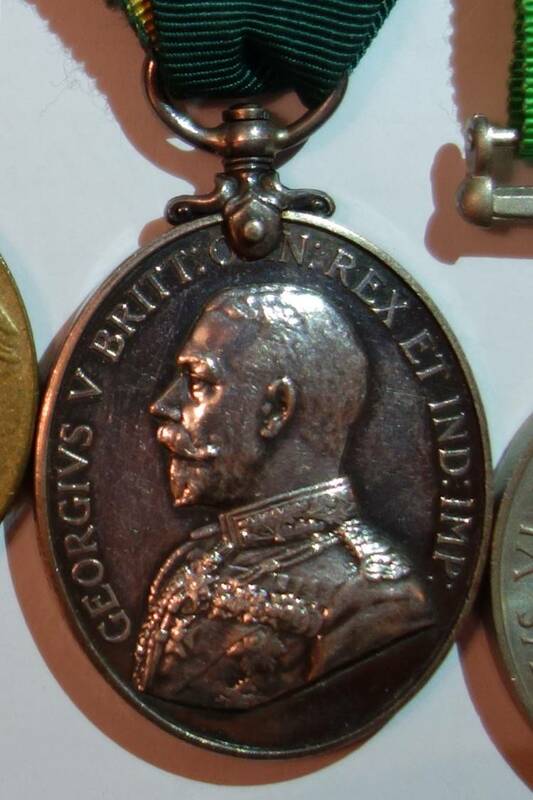 The Territorial Force Efficiency Medal was instituted in 1908 and was awarded to Non-commissioned officers and men after 12 years service in the Territorial Force, with war service counting as double. Bars were awarded for an additional 12 years service and in 1921 the medal was superseded by the Territorial Efficiency Medal in 1921. Officers were awarded the Territorial Decoration. The Territorial Force Efficiency Medal cards are also available on the subscription website The Genealogist. The page below is part of the “Quarterly List of Non-Commissioned Officers and Men of the Territorial Force who have been Awarded “The Territorial Force Efficiency Medal”. This quarterly issue was 22 pages in length and was issued with Army Orders dated 1 July 1911. 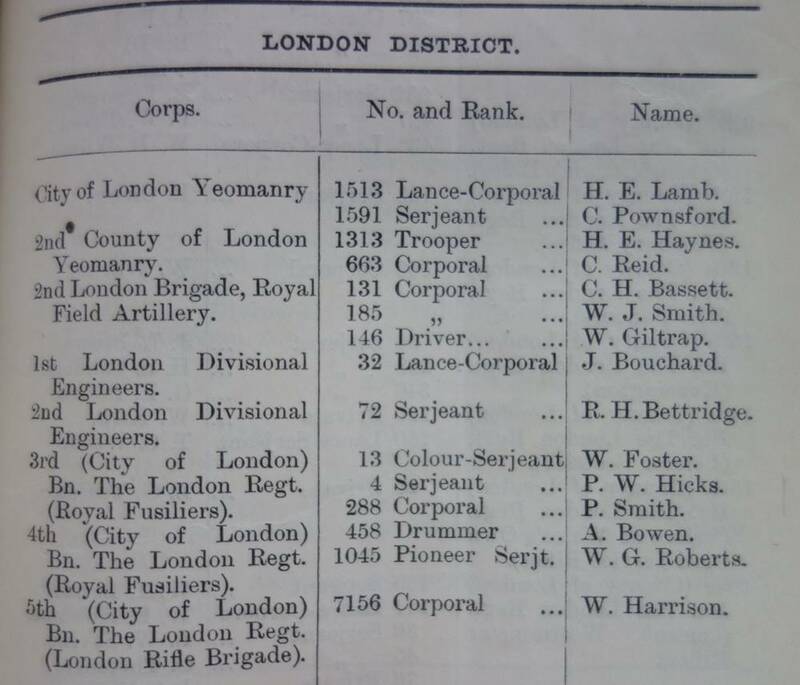 The soldiers who appear in the issue were divided up by unit and further split between Eastern Command, London District, Northern Command, Scottish Command, Southern Command and Western Command. 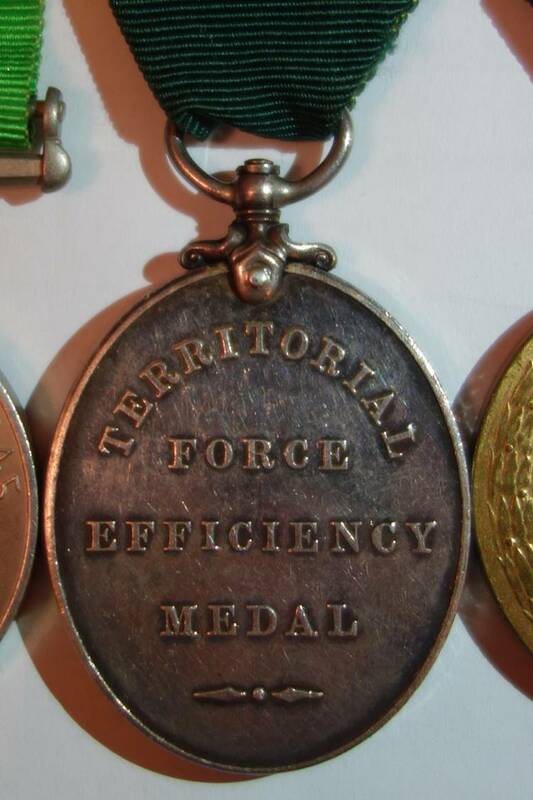 Reverse: The words Territorial Force Efficiency Medal. Size: Height 38 mm, width 31 mm. Ribbon: Plain dark green with a central yellow stripe. However, the ribbon for the Honourable Artillery Company is half blue and half scarlet with yellow edges. Naming: Impressed naming on the rim. Number Issued: Just under 50,000 medals were issued.